Join Web3D Consortium at SIGGRAPH 2019 in Los Angeles from July 28-Aug 1 - in booth 930 and our Birds of the Feather discussions. Join Web3D Consortium at SIGGRAPH 2019 in Los Angeles from July 28-Aug 1 - in booth 930 and our Birds of the Feather discussions. See how you can fully represent your 3D data using open standards. X3D is tailored for use in engineering and scientific visualization, CAD and architecture, Geospacial, Human animation, 3D printing and 3D Scanning, AR/MR/VR. X3D has several applications in medical visualization, training and simulation, multimedia, entertainment, education, and more. 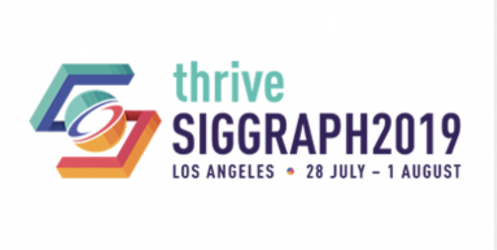 SIGGRAPH 2019: THRIVE TOGETHER: Recharge and reboot, as multifaceted as you are—featuring global innovators who are changing what’s possible in computer graphics, animation, VR, Gaming, and Emerging Technologies.